Lighting plays an important role in how we observe the world in everyday life. We rarely notice the lighting of any place unless it seems different than usual. A good light arrangement which provides the required level of brightness and comfort often goes unnoticed. If it’s brighter or dimmer than the required level of brightness, everyone notices it. Lighting is a vital feature of the built environment not only in terms of safety and security but also in decorating the architecture around us. Effective architectural lighting applications emphasize the design of building while bringing out the best visual appearance. Architecture LED lighting is an ideal solution for lower or higher brightness nightmares as it sets the exact level of light and comfort. You can decorate your home and enhance architecture design of indoor areas like bedrooms, living rooms, halls, kitchens with linear lights. Designing your home with LED architectural lights is an easy and energy-efficient way to achieve architecture exquisiteness. For highlighting the architectural features use accent lighting. Highlight the special areas of the building. Keep them significantly brighter than rest part. Create a focal point on these parts so that they can easily attract the eyes. Accent lighting installation can surely help create a visual hierarchy. Uplighting is very effective in creating a focal point in the desired place. Mount any lighting fixture like wall washer or up light on the ground which aims upward to the targeted location. This method is often used to illumine the architectural surfaces. If installed correctly, these can create an ambiance worth illuminating. The landscape applications are also light-up and highlight bushes and trees. 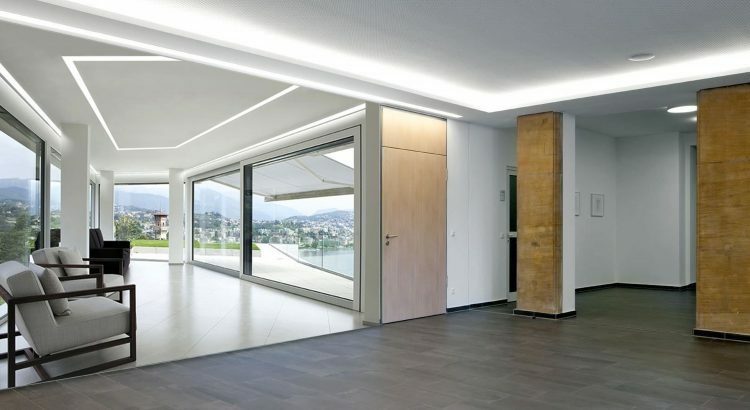 Another way to underline any architectural feature is by installing light strips towards the back of it. The front light on any object can be is ignored completely, but the back-light adds an outline to it. Architectural lighting defines the dimension of an edifice and the landscape adjoining it. Use flood lights to add contrast to the surface with different modus operandi. It adds eye-catching effects while holding onto the architectural uprightness of the building. Add LED luminaires to the regular pattern of windows, behind mirrors to add extra to it. Use linear lights under and above cabinets in the kitchen to get ambient lighting. There are many tricks and techniques to add an extensive look to your home with Architecture lighting. A selection of right color combination and placing the light fixtures does matter the most.